While Saturday’s show has a main event of Eddie Kingston vs. Kevin Steen, the Grand Championship match is not the only Chikara title match happening this weekend. On Sunday, April 30 in Lafayette, Indiana, newly crowned campeones de parajeas 3.0 defend the titles against the men they won the titles from Chuck Taylor and Johnny Gargano of team F.I.S.T. This match up is a bit shocking given 3.0 won the titles one month ago in Chikara’s Canadian debut. In the world of Chikara before being able to challenge for the tag titles a team must accumulate three points. Three points are accomplished by getting three consecutive victories without suffering a loss. Losing the titles on March 24 and having a return match on April 30 is I believe the quickest turn around for getting a title match. F.I.S.T. got their three points in one four-way match at Chikara’s last show, I’ll Be a Mummy’s Uncle on April 14. It took just eleven and a half minutes to eliminate the teams of the Maximos, QT Marshall & Jack Bonza, and the Bravados to secure three points. It’s pretty much a given Taylor and Gargano will be focused on regaining what they feel are rightfully theirs. On the other side of the ring is the team of 3.0, Shane “Big Magic” Matthews and Scott “Jagged” Parker. 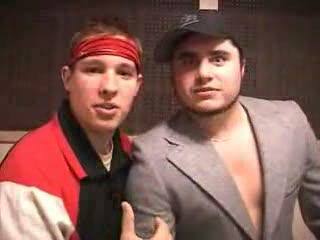 3.0 debuted in Chikara in February 2006 as 2.0. Their win-loss record over the next four years wasn’t real impressive. They were more concerned with having a good time then racking up victories. 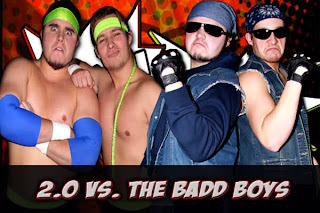 In 2010, 2.0 were booked in a loser leaves town match against the Badd Boyz, a tag team that had shown up earlier in the year. After 2.0 lost by count out due to not showing up, the Badd Boyz revealed they were really 2.0 and from that point on they would be known as 3.0 since they were new and improved. 3.0 got their first shot at the tag titles on September 18, 2010 coming up short in a valiant effort against champions Claudio Castagnoli and Ares of the BDK. 3.0 would not get another shot at the titles until March 24, 2012 when they beat F.I.S.T. for the titles. I can’t see 3.0 dropping the titles in their first defense. Since Taylor and Gargano are feuding in other promotions, I’m curious to see if Chikara will work it into their story lines or if they’ll keep the Chikara universe separate much like there are alternate universes in the comic book worlds. Can we see Ultimate Chikara debuting soon? While I predict the Kingston/Steen match to be a hard hitting all out brawl, I have a feeling the 3.0/F.I.S.T. match will be more technical based with some slight comedic antics sprinkled throughout the match. Much like the Grand Championship match, this title match could be worth the price of admission alone. If you’re near Lafayette, Indiana on Sunday, I doubt you’ll find anything more entertaining then Chikara’s show. Just be sure to stock up on pepperoni sticks and Red Bull before heading out to the show. Follow My123Cents on Facebook and Twitter. We’ve been stocking the prize vault and may have another giveaway soon.